Provides easy transition from vertical wall to roof to avoid a sharp bend in the roofing material. Ideal for transitions and prevents damage from occuring during construction and maintenance. Classic stainable or paintable styling to suit your decorating needs. Machines easily and can be painted or stained for the desired finished. Classic stainable styling to suit your decorating needs. 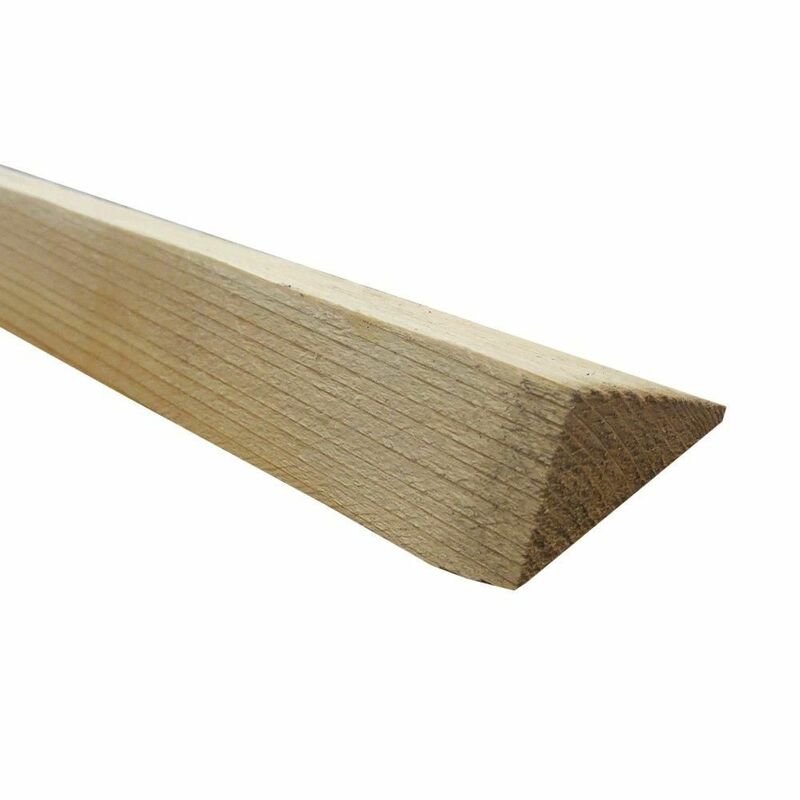 Available in a variety of lumber sizes and is ideal for paint or stain grade furniture or hobby woodworking. Consistent colour, grain and quality. A plethora of application opportunities exist within the realm of the S4S board family. Surfaced Four Sides boards (S4S) are used for cabinetry work, shelve frames, and other utilitarian uses. These are the foundations for build up combination detailing and designs. They can be used in conjunction with other smaller decorative components such as: back bands, base caps, coves, and base shoes. By using your creative spirit these items will appear to be one. Hem/Fir Cant Strip S2S 2 Inchx2 Inchx8 Feet Provides easy transition from vertical wall to roof to avoid a sharp bend in the roofing material. Ideal for transitions and prevents damage from occuring during construction and maintenance.